The National Audit Office has today published its report on the progress of the Customs Declaration Service (CDS) programme, setting out facts about the programme and highlighting the risks and issues that HMRC is managing ahead of implementation of the new service by January 2019. In 2013-14, HMRC started plans to replace its customs system, known as CHIEF, following changes to EU legislation which would have been costly and difficult to make on its ageing technology. CHIEF collects around £34 billion in tax and duty on imports from countries outside the EU each year. In 2015-16, it processed around 55 million import and export customs declarations. In 2015 nearly £700 billion of goods crossed the border. The continued smooth operation of these crossing is critical to the UK economy. 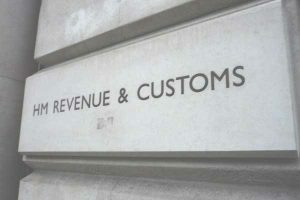 HMRC is replacing CHIEF with a new Customs Declaration Service (CDS). The CDS programme is one of 15 major programmes in HMRC’s wider transformation portfolio. HMRC started the programme before the UK voted to leave the EU in June 2016, and before the government committed to seeking a new customs arrangement from March 2019. HMRC has made progress in designing and developing the new Customs Declaration Service, however there is still a significant amount of work to complete, and there is a risk that HMRC will not have the full functionality and scope of CDS in place by March 2019 when the UK plans to leave the EU. HMRC recognises this risk. Particular risks to programme delivery include: the time contingency available to HMRC; the technical challenge of integrating the different elements of the CDS system; the potential increase in volumes following the UK’s decision to leave the EU; stakeholder engagement and transition planning; the programme management approach adopted; resource gaps; and potential for additional costs. The programme is also currently operating with some uncertainty due to the unknown outcome of the UK/EU negotiations, and no changes have yet been made to the scope of the CDS programme following the UK’s decision to leave the EU. Any changes to the new system requirements made shortly before the planned implementation date would increase the risk of additional cost or delay to the programme. While HMRC is working to manage the risks and issues, and is developing contingency plans, wider government must choose now whether it needs to do more to help HMRC to mitigate the risk of the system being needed, but not ready in time.